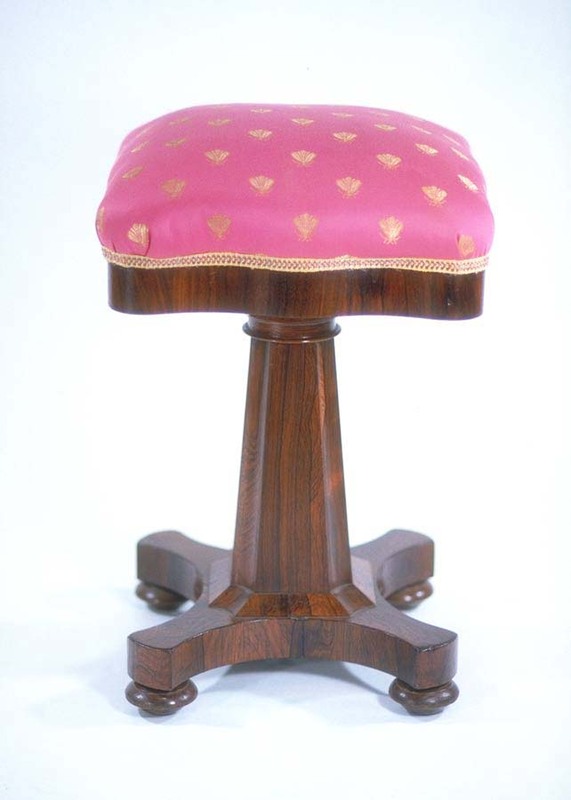 Stool, Piano, Rosewood, American, Early 19th C.
An American early 19th century rosewood, adjustable piano stool. A fine survival with beautiful rosewood veneer in the Empire manner with chamfered tapered pedestal having a knife edge turned capital and crosseted base on bun feet. The secondary wood is white pine and the iron mechanism has been repaired so that the item is fully usable. An unusual example in good condition. Period c.1820-1830. Appears to have been made in Boston and would be a good companion in an Empire furniture collection.